Since November I've had the privledge of teaching with an iPad in my grade one class. Along the way I have discovered a lot of great ways to use it to help my students have their individual learning needs met. Having just one iPad did bring about its own set of challenges but we were very lucky to have access to some additional iPads in the final term of school. Next year we will have iPads again thanks in part to my participation in my school's successful innovative learning grant application and another special project I'm involved with at the school district level. Needless to say my head has been spinning all summer with ways I can integrate this technology into my classroom with out losing sight of the important non technology based teaching and learning my students need too. So before I start the next school year I think it's important for me to review some of the apps we used this year and how we used them. To begin with here is a screen shot of my student's page on my iPad. You'll notice that I have their apps neatly organized into folders which I find really helps when we are looking for a specific app or they are trying to decide on a specific type of app to use. Their folders include productivity, voice recording, story makers, show and tell, fine art, word work, phonics, spelling, abc work, science, math tools, math, books, board games, photography, movie making, and flash browsers. I have the Teach Me 1st grade app too but to perfectly honest we've barely used it. This folder is a little more for me than for my students. At present it contains the Google, Dropbox, CloudOn, Evernote, Google Earth, Qrafter, and Google Drive apps. While my students use Qrafter to scan into our class blog, and I'd like us to use Google Earth more to discover the places we are connecting with, the reality is most of the apps are in there for when I need to save or access their work. My voice recording folder contains the following apps: Audio boo, Say Hi, Active Voice, Dictation, and Audio Memos. It used to also contained Talking Tom but for some reason it has been removed. Our most frequently used app here is AudioBoo. We have used it to record reading. Say Hi is a new app and it's great for my limited English speakers. If the app has their language on it then it will translate their first language (say Korean) into English - both in text and in sound. Since I work in a high ELL school this app has been a lot of fun to use. Dragon Dictation and Active Voice are two different speech to text apps which with our newly installed wireless work a lot better. I like to use those apps with my students that struggle with written output but have so much to say. Here is a sample of us using AudioBoo. These apps were quite popular with my students and different students preferred to use different apps depending on the job required. Having only one iPad most of the year did bring about its own set of challenges though as only one (or two) student(s) could create with it at a time. With an increase of iPads this became less of a problem. The apps that you can find in this folder include Scribble Press, My Story, Book Creator, Sock Puppets, Comic Life, Puppet Pals, Strip Design, Toontastic, Story Wheel, Story Dice, and Little Book Maker. Here are some examples of my class using Sock Puppet, Scribble Press and Puppet Pals. 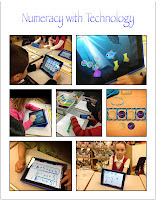 These apps are probably my most favourite because they allow my students to demonstrate their learning through pictures, and/or words. They are very open ended and can be used across a variety of content areas. For the most part they are great for any student k - 7. This folder contains Explain Everything, Screen Chomp, Show Me, DoodleCast, Draw and Tell, Idea Sketch, Popplet Lite, White Board (allows you to work on two iPads collaboratively), Skitch, Voice Thread, and Sonic Pics Lite. Here are some samples of us using Screen Chomp, Show Me, Draw and Tell, Skitch, and Voice Thread. This folder contains the following apps: Draw Stars, Doodle Buddy, Virtuoso, Suess Band, Pottery HD Lite, iDraw HD, Sparkle Paint, Singing Fingers, Glow Colouring, Drums Light, Mini Piano, Peg Free Light, Mirror Paint, Read Fireworks. These apps have been used to help my students practice their word wall words or for just plain creative purposes. While I have taken photos of my students using these apps I only have one blog post that mentions one of them. Here is a sample of Pottery HD Lite. This folder seems to be changing constantly as I discover new apps that help my students either learn their word wall words or learn some sight words. This folder contains Magnetic ABC, Word Wizard, Touch Write, Word Builder, Sight Word Bingo, PopWords, Bluster, Sight Word Touch, Little Speller Sight Words, Sight Words, Sentence Maker, Word Collage, Sight Word Hangman. Unfortunately these apps were never talked about on this or my class blog. Phonics apps are also used during our word work time for those that require extra practice in this area. This folder contains Pocket Phonics, Phonics Genius, Rhyming Bee, Phonics Awareness, Phonics Vowels, Tic Tac Toe Phonics, Phonics HD, and Rhyming. 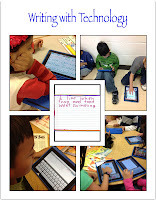 I found later in the year my students loved to use the spelling apps during their word work time. This folders contains Chicktionary, Express, Rocket Speller, SpellBuzz, and Simplex Spell Lite. My ABC work folder contains three apps LetterReflex, Movable Write, and Sound Sorting. I have several other go to ABC apps but they are not on my iPad at this time. Sound sorting was particularly great for my new to Canada, never been to school before students. The LetterReflex app is fantastic for those students with letter and number reversals. Here is a blog about my class using Letter ReFlex. The science folder contains the following apps National Geographic Explorer, Colour Uncovered, National Geographic Weird But True, Science 360, Weird Facts, BrainPop, Plants HD, and ButterflyHD. Specific apps, such as Plant HD were used we were studying plants. Many of the "reading" apps were used during "free read" time in my class. The math tool folder contains the following apps Ten Frame, Hundreds Chart, Base Ten Blocks, Calculator, and Visual Timer HD. I must admit that they weren't used too often for most of the year because with only one iPad there are a lot better tools to use than the digital ones. However when we had access to more we utilized the digital tens frame a lot. I also know when we look at numbers and skip counting the 100s chart tool will come in a handy. Here is a post about us using the Tens Frame app. This folder is filled with a variety of different math practice concepts. I have tried to chose apps that are not strictly drill and practice apps. I also find we do a lot more hands on math but I do have students that love to practice math facts on iPads. This folder contains the following apps Monkey Math, QCount, Marble Math Jr, Math Drills Lite, Bugs and Button, FingerCountLite, Hungry Fish, Top It Addition, Subtraction Sardines, Squeeze, Adding Apples, Zoom, Caboose, Rocket Math, Math Bingo, PopMath, What's Next, KidCalc, and Find Sums. To be perfectly honest as much as my students love interactive books, they are just as excited to read traditional paper books. I have several iPad books not available on this iPad at this time as I find I tend to add and subtract books as needed. For example during our Fairy Tale study the iPad was filled with Fairy Tales. At present my books folder contains Monster 1, Chocolate Attack, Bo's Bedtime Story, Slice of Bread, Morris, Cinderella, iRidz 4 Kids, Puss in Boots, I Like Books, The Snow Ball, Bizzy Builds, and a direct link to Tumble Books. When my students have free choice time they are free to chose what ever they would like to do. I like to keep this folder filled with games for them to use if they'd like. Right now this folder contains Blokus, Four in a Row, Game Centre, Checkers, Sudoku2, SimpleS, Scrabble, Jenga, Unblock Me, Fur and Feathers, and Water?. My class didn't use these photography apps all that much as they relied heavily on the camera feature of the iPad. I most definitely can see us using the Photo Booth app as we study feelings and emotions. I tend to use the PhotoSync app as a way to get their photos off of the iPad and onto a computer. Super Impose and Snapseed are the final two apps in this folder and I can see great potential with both of them but my class will need a big buddy to help with these. The movie making app includes Videolicious, NFB Pixstop, iMotion HD, Action Movies, iMovie, and Splice. While I made most of our class iMovies this year on my personal laptop I feel quite confident that next year we will be able to utilize all of these apps. Here is a link to the Videolicious video they created. Flash browsers are great when you are trying to use a web based site that relies on Flash since the iPad does not work with Flash. These two apps help you use those websites. I must admit though I was more likely to sign out and bring in the school's set of macBooks then fiddle around with these Flash Browsers. It is nice to know when the macBooks aren't available I have additional technology I can rely on. Already just by sharing what's on my iPad I can see so many uses for the apps that I have, and for the apps that I don't have here. I also know that I need to be mindful of what I have on the iPads as space is limited. In addition as always I need to remember that technology should not be used for everything that I do in grade one. It's exciting to know that I will have more than one iPad in my room next year and I can't wait to see what we are going to discover as a class. What iPad apps do you use that you feel are "must have" apps? I can already think of many myself but I'd love to have your input too. I use IPads with my firsties too. I just added a few apps from your list - Base Ten Blocks, Hundreds Chart, and Ten Frames. For some reason I use these tools online, but never thought to look for apps. These will be a great addition to math stations! Some of my favorite apps: Scribble Press and Doodle Buddy, Zoom, Squeeze, Name That Number, and Sail Through Math, ABC Magnets, and Word Wizard. I also like PBS Kids. I use Evernote for student reading records. Thanks for the feedback. I can't seem to find a PBS Kids app but I know my students do like their website. As for Evernote now that I don't have to share my iPad with my students I will be using it a ton for so many different reasons. I'd love to see what you're doing with your students are doing with their iPads. Hi! I found this absolutely facinating to read and to watch what your students are doing. That's really great! I am a new teacher and I am working on getting a class of my own and would love to teach using some of these apps. I guess the first stumbling block would be to get the ipads into the classroom then it would be 'off to the races' with all that is available! I am thankful that you have shared all of this information. I find it very helpful and hope to be able to use these in my hopefully soon to be upcoming classroom! Great! Super! Thanks for sharing! Thanks for sharing. I love it you share examples too. I am having fun playing with sock puppets app. By the way, here is a link to the PBS Kids video app http://itunes.apple.com/us/app/pbs-kids-video/id435138734?mt=8. I also like the Mad Math Lite app http://itunes.apple.com/us/app/mad-math-lite/id389099317?mt=8 because you can write with your finger on the white card space. You can also limit the numbers to just 1 thru 5 and what computation. There are lots of good free money apps. Two of my favorite are Cash Cow http://itunes.apple.com/us/app/cash-cow-lite/id331877727?mt=8 and Sticker Shop http://itunes.apple.com/us/app/sticker-shop/id368069666?mt=8. The PBS apps show up by the show they are associated with. So there is a Martha speaks app and a word girl app I would recommend. Word ball is also good. So you need to look under the name although I'm sure PBS should get you there too. Unfortunately while the Canuckland iTunes store has a few PBS apps (yes they have Martha Speaks) they don't have all of them available for us to download/purchase. Thank you for sharing. I hope that you and your students will have a great school year filled with learning and fun. I'm bookmarking this! Thanks so much for sharing! I only have one iPad, but am planning to use it with Splashtop app. Have you heard of it? I've never heard of it but it does look quite interesting. It seems to be on special right not too because of they Olympics. Thanks for sharing. Hi there :) I was hoping that you could explain how you organized each folder...thanks!! I just got my first ipad and want to use it in my classroom. I love the idea of each "area" having its own folder. Enjoy that new iPad of yours. They are a ton of fun and I'm certain your students will LOVE using it. Hi! Thanks for sharing all of your great ideas. Our school brought in 30 ipads for the first grade teachers to share. It's been wonderful. The only thing I can add to what you are doing is an app called apps gone free. It alerts you to apps that are free for a limited time. Many of them are educational. Have fun! Thank you. I actually have the apps gone free app on my iPad but it isn't on student iPads. I must admit I don't check it often and more often than not I rely on the awesome twitter peeps to tweet out great apps that have gone free. I like the price of FREE! I was googling 1st grade and Ipads and came across your site. Thank you for sharing how the ipad can be used in the classroom. Currently, I have 2 that are available for use all day, but they tend to sit there because I'm not confident in how I can better use them during our instruction time. I like how you organized folders on the ipad and with great resources listed under each heading. Thank you! I confidently can see how I will better utilize the technology given to me! This is a great post which I will continue to refer back to. Thanks for sharing. We are about to embark on an ipad program for our junior classes, so this post is a great help for us. Thanks for sharing. Glad you've found it helpful. The more I get to know my iPad the more we are able to do with it. I wonder how different this post would be if I did it with the iPads my students are using now. Things, as they should, are always changing in my classroom. Thanks for sharing! I will soon start using iPads with my students here in Brazil and your post will be very useful! Strange, I just responded and MY comment is gone. Hmm. Anyhow I'm glad you've found this post helpful. Things are constantly changing in my classroom. Please feel free to get in contact with me here or on twitter at @klirenman I'm always willing to share what I'm learning. Also please do stop by my class blog. We love visitors, and ones from far away places such as BRAZIL make us smile. Im very interested in this area of teaching and have nicked a few of these ideas. Does anyone have any suggestions on how the ipad can be used in post 16 education? Thanks Chris, I hope someone can help you out. My area of expertise is little people. Thanks for taking the time to comment on my blog. This site is really amazing and informative to me, i am impressed by this site advanced gadgets shop. I am glad you've found this helpful. Thank you for the comment. Having only one i Pad most of the year did bring about its own set of challenges though as only one or two students could create with it at a time. i like the i pad. Hope it is good for the kids. 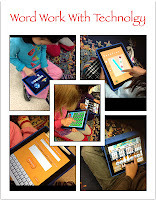 iPads can be used very successfully in a grade one classroom. This does not mean that we are always head down into our iPads not does it mean that we use an iPad for everything we do. What is nice about being 1:1 with iPads is that it allows students to use them as an extremely powerful tool, when it's the right tool for the job. That's key. If you are still concerned snoop around here a bit more and see some of the incredible things my amazing students are doing with access to iPads. Check out their student blogs and see some of the innovative ways they can practice, show, and share their learning. Hi! I found your post today and many of these apps aren't available anymore. Do you have new apps that you've found and your kids are benefiting from? Great post! I just implemented the use of iPads into my curriculum (AP Human Geography) and it has been working amazingly. Thanks for sharing! Join night party. Free Join http://bit.ly/1q0Slw4 Sign Up please for free join with us. By offering real-time steaming video, it allows users to experience events anywhere and have the opportunity to join if they choose to do so. By viewing these events live, it also gives the user valuable information in regards to the type of events and demographics of the club, party or event, thus aiding in making the decision to which venue is the best fit. Technical Support: To get Apple computers technical support over phone, call tollfree number +1-800-8060-713 or +1-800-935-0718. Lines are open Monday to Friday from 9AM to 9PM and on Saturday 10:00 AM to 6:00 PM. For iPhone, iPad and iPod customer care lines are open from 9AM to 9PM and on Sunday 10:00 AM to 6:00 PM. Hey, if ipads are helping children concentrate better and learn more effectively, then who am I to complain? educational toys like a good learning pad is important to kids. When choosing learning pad , don’t be cheated by the beautiful design and it function configuration. Instead, the most concern that you should pay attention to is the inside content they designed for the kids. How about the content quality. Are they scraped together randomly or are they designed systematically and scientifically. This is the most important thing that we should concern. I have seen good learning pad, I hope it will help some kids.